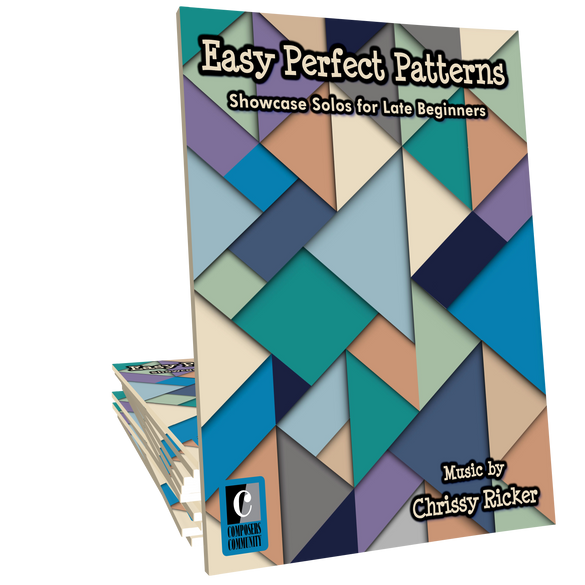 Easy Perfect Patterns is a collection of twelve fun and engaging pieces composed by Chrissy Ricker. 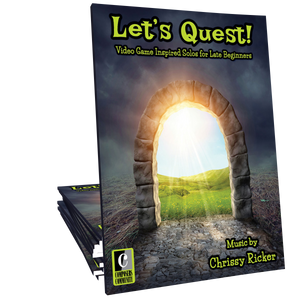 Graded for late beginners, these pattern-based pieces will delight students of all ages! I love this book. I have a new transfer student and was looking for something more lyrical than a method book. 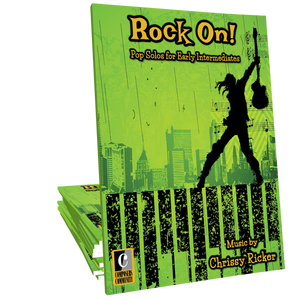 The songs in this book have ignited this girl and she is making great progress and is practicing more at home. Mom says she loves this music as well. This is definitely going to be a book I use over and over again in my studio. 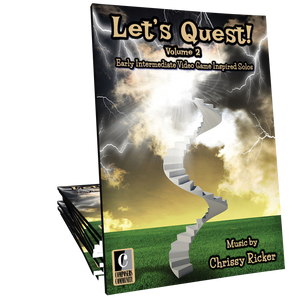 Chrissy Ricker did it again! 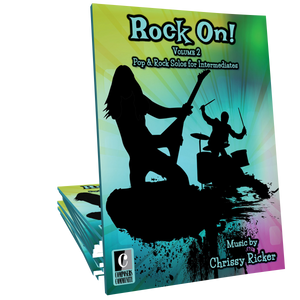 These are engaging and exciting solos for beginners that are a big hit with my students. I love teaching pattern based pieces that make sense to students while challenging them to reach a little higher. Want your students to practice more? Here's your answer. Just take my money now! Chrissy is a remarkable composer that has tapped into the sound of today’s pianists. Every student begs to play her pieces because of their awesome appeal. She can do no wrong. It’s worth every penny of the studio license.